Frynge web design is your first choice for professional web design, hosting, advertising, graphics, ecommerce and all your coding needs. We have many features if you decide to host with us, like free ecommerce, free forums, free chats, free photo galleries and much much more. Check out our hosting page for more information. We design and host websites for clients in all parts of the world. We have everything you need in one place, for your large or small business. American's can take advantage of the weak exchange rate, and get more design for less money! Feel free to check our quote area and request a quote or a web site facelift. We offer some of the best prices in Canada for flash design, php and asp programming, hosting and more. You probably typed in a keyphrase in to a search engine and we were number 1 or close to number 1. We are leaders in our field. We can do this for your company. 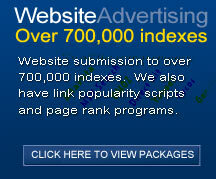 We offer incredible advertising that will build quality traffic over time. We know our Search Engine Optimization inside and out, which is why we have so many high listings for this website and for our clients. Are you a large company and want to make sure you get professional corporate image, you want all the bells and whistles, but you still want an affordable price? Frynge.com does not leave you out of the loop. Are you a small business and just trying to get a good informed start and conserve money without sacraficing quality? Maybe your the type of person who likes to have many free options that you can explore and set up yourself, like free photo galleries, free ecommerce(hooking up to paypal or many other payment gateways), free detailed web statistics, free bulletin boards, free wiki and blogs and a control panel where you can manage your own site, feeling comfortable with all the control we give you. Don't feel comfortable tweaking or building your content? Don't worry. The Frynge.com can do it for you. At this point, if you have a website and you want to make it look better, you may want to check out our website facelift area. Are you looking for a site designed in flash, or a flash logo / banner? If so, check out our portfolio. You can always request a quote and we will get back to you as soon as possible. We have database sites using postnuke, that can update automatically. Your users can build the site and you can manage the content to cut down on maintenance fees. Why pay us, when you have the staff or the time to do it yourself? This can all be done through a web page interface we build for you, making it easy to update your site. We can build sites that will automatically update, or sites that your users can help you build the site, by offering suggestions, links or taking part in bulletin boards or polling. You have to check out our ALEXA RATING for our web hosting services, with servers in Canada and the United States. Our rating shows we are a leader in our field. If you compare this to any of our competitors, which it lists, you can clearly see we are on top. We are your one stop shop for all your web design, hosting and advertising needs. Feel free to go request a web design quote. The Frynge web design has been part of the reason why my product has been so successful. Just take a look at the graphics on my website and how well laid out they are. I think my web site Deepsky 2000, speaks for itself. The people at Frynge have been so helpful to my needs responding often within 1 day of requesting new graphics. Their prices are very reasonable. I highly recommend them! Keep up the great work! Frynge.com helped me to setup my first website. When I had questions they answered within hours, even after hours. I have not had any downtime on the site and only positive responses from customers who have visited the site. I know that after doing business with Frynge I will not be looking for another provider. Excellent customer service. Fast, Personal, Reliable and Professional. I have recommended this hosting service to others looking to host their own website. Very easy to use. Do you want a link here? The Frynge is designing, hosting and advertised J&R Transportation. It consists of forum, flash design, a members area and caters to the Canadian transportation industry. The Frynge is providing hosting, site design and advertising for Jacobs Real Estate. along with a full redesign of their site. The Frynge is starting a new design for HR Consulting, a Surrey based consulting company.